Created to hold the lederhosen safely on the ladies? hips: the traditional belt for women. 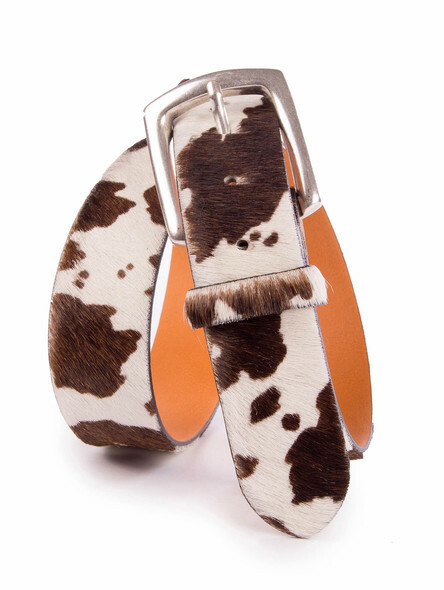 Sometimes quite rustic with Charivari or with elaborate metal belt buckle, sometimes extravagant with real cowhide and sometimes also in plain dark brown - our traditional costume belts revalue the Bavarian clothing of any lady. 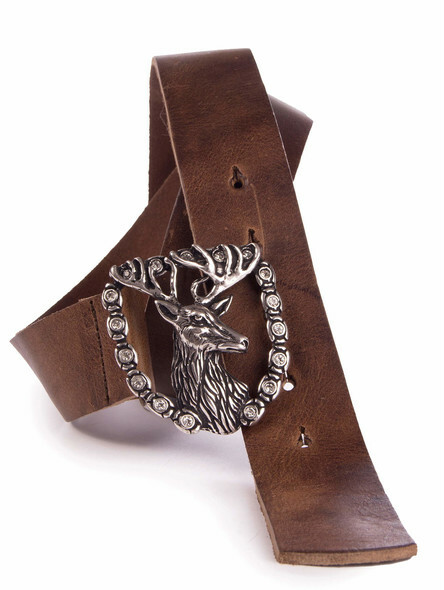 Each belt is made of the finest cowhide leather and has its very own charm. 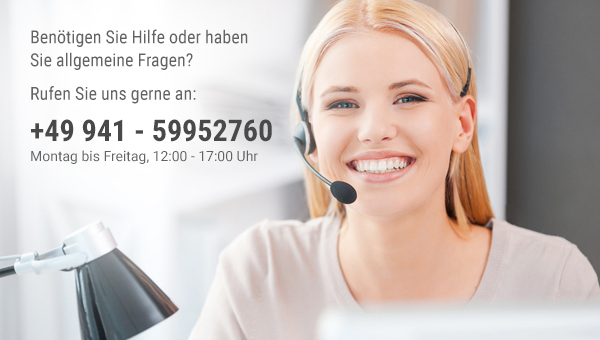 Not only when the lederhosen have become too loose or as a replacement for classic suspenders, it?s the turn of our cheap traditional leather belts for women. 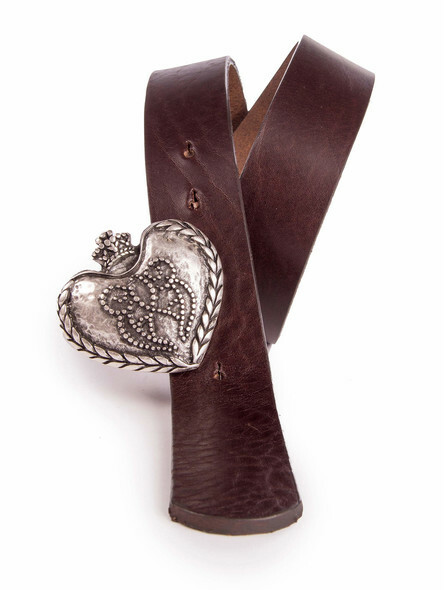 The leather accessories also look amazing with a pair of jeans.